The New Statesman publishes a previously unseen work by the late poet laureate. 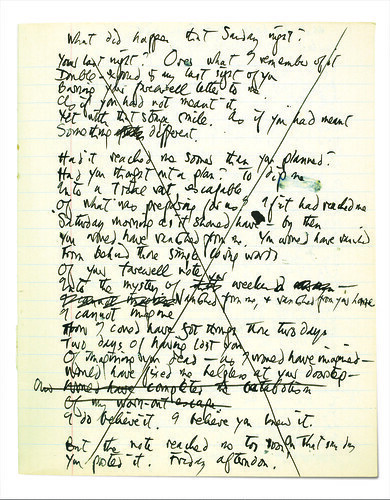 The earliest draft of "Last letter" held in the British Library's Ted Hughes archive appears in a blue school-style exercise book, which is believed to date from the 1970s. The book contains drafts of several poems that appear in Birthday Letters. A more refined draft of the poem is found in a hardback notebook. 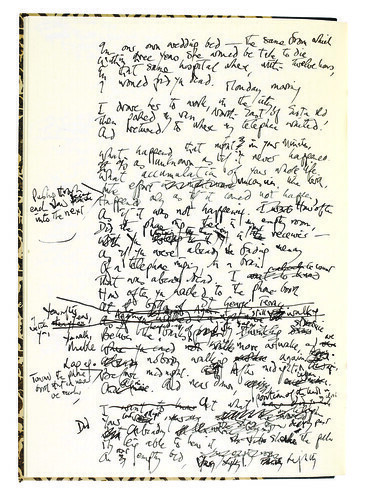 After drafting poems by hand several times, Hughes would usually type out poems when they were near completion, adding notes in the margin where necessary. In a letter from 1998 to his fellow poet Seamus Heaney, Hughes says that he first started to write simple verse "letters" to Sylvia Plath in the early 1970s. Hughes began writing them piecemeal; later he tried to do it in a more concerted way but found that he couldn't, so he went back to writing them occasionally. 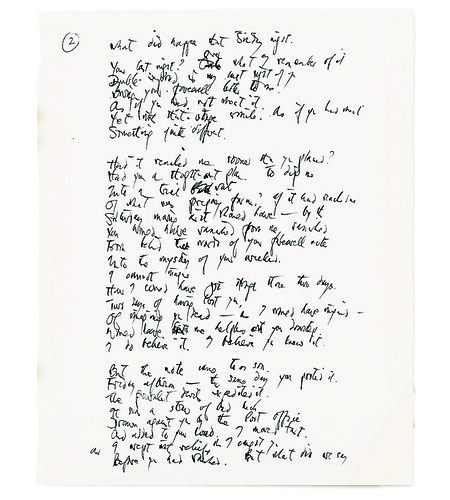 Some of the Birthday Letters poems appear in the 1995 New Selected Poems, but in correspondence with friends (also held by the British Library), he says he had found some of the other poems too personal to publish at that time. Tonight Channel 4 News covered the story and recruited the actor Jonathan Pryce to read a section from the poem. To read the poem in full, pick up a copy of Thursday's magazine.